HOW TO GENERATE NEW BUSINESS IDEAS. Many people want to start a business. The diffuculty people often face is not knowing exactly where to start, or what ought be a good business to get into. That why provided an article on How to become a true entrepreneur. This article will provide you the techniques and strategy to help guide you to think through starting a business in an organize and structured step-by-step ways. But be rest assured that some business idea at work for some foundation teas or at a certain point in time, but may not work for other people or at other times. I will recommend you to read this too 99 new business ideas today. 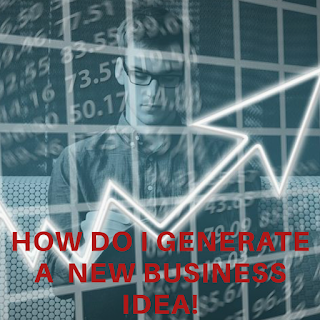 there are many ways to categorize different business ideas. But for our purpose let categorize them into 3 types, for better understanding. INNOVATIVE BUSINESS :- Innovative business ideas are for new kinds of websites and mobile apps, it could also be new kinds of gadgets, smart phones, tables or other electronic devices. The great thing about these kind of idea is that they lead the way for everyone else. They create whole new markets and for a short time get a lead over these kind of businesses. They tend to also have potentials to grow rapidly and for that reason are attractive investments for venture capital and seed investors. COMMODITIZE BUSINESS IDEAS :- There are many type of businesses which have been for a long time athat do not have to innovate and can still be great businesses. Just think about different business in the city, every city needs a restaurant, cleaners, dentist, schools, mechanics, people to fix home e.t.c. the list goes on, the core difference between these type of business and innovative businesses are that these tend to be service based business with a local focus. For that reason these have less potentials to become multibillionare business, additionally they do not grow as quickly. HYBRID BUSINESS IDEAS :- What we refer to hybrid business idea, there are ideas that comprises of a little bit of commoditize and innovative business idea, just as the name implies (Hybrid). 1. Know your strength :- It is wise to first think about your personal and professional strengths. Are you an engineer who can build. High quality technical product?, Are you good at sales? Are you well connected?, Are you patient?, Are you less patient than others?. Do you have high moral and ethical I.Q?. What ever your strength are, whenever you think about what kind of business are right for you. Try to align your strengths, so that your unique background can give your venture the most competitive edge. Conversely try to minimize weakness. E.g if you not technical, do not rush into businesses that require a lot of technical experience and skills. That doesn't mean you should be discourage, the great advice I will inculcate in you is to know your strength and choose the right busines that quite fit it, so that you can give your business a competitive advantage. 2. Consider your strength and passion :- If you will successful, youbqy end up doing thus business for 2-5-10 years or more years. So therefore think about what you want to do, and also what would make you happy. Don't conversely try not to rush into any business idea just for the money. You may not find the strength to make it through the difficult stages through out the life of the business, and I assure you they will surely be a difficult stage in any business idea. So that why you choose what fit your strength, so in times of difficulty. You can scale through. 3. How can you improve the world :- This is an important section, it deals with your vision and mission, having considered what you want to do you should bear in mind that whatever your business is all about, it not ultimately completely for you. It is more for your client and customers. Always think about your client because without them no business can exist for long. Every business need customers and your job is to find something you can do to make someone else life better. You have to ultimately provide a great enough benefit for your customer. So that they would be willing to pay your for your offering and come back to use it again. 3. 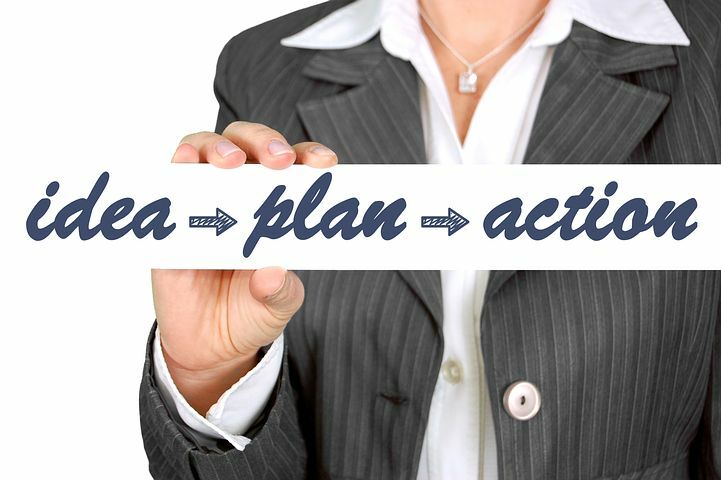 Once you have a great plan execute it :- Ultimately there is only one way to win in business, you have to execute your ideas as best you possibly can. 4. Make sure you have a complete strategy :- Once you have to execute a good idea for a product, but it might be difficult to make that particular product as you might have conceptualize it. That us a big risk on the hand, it might be a good product that is easy to market, but they may not utilmately be such money on it. If there is plenty of money in it, hence it may be mutual hence to much competitors. 5. Should you keep your idea secret :- There is a varying school of though on this issue. Some people like to remain secretive about their ideas while others like to ask as many people as possible so that they can get feedback. The pros and con's are obvious if you keep the idea a secret. You will get less feedback, your only option to validate the product will be to put it out in the market, but you do gain the benefits of less people being able t steal your ideas.